Everyone wants to spend their free time with maximum benefit. If earlier any games – it was just a pleasant rest, then modern on-line games business simulators allow you to learn useful skills in an exciting game form. One of the most ranked business simulators is the economical on-line strategy Virtonomics, where more than 980 thousand people are taking part simultaneously with a similar range of interests – business, finance, economics, management. The game presents all the main areas of activity – trade, manufacturing, agricultural, research and more, more than 200 types of goods. At the same time, the possibilities of the game are constantly growing, and the game base is developing, new production options, additional types of products are added. Virtonomics is an online multiplayer game in which you will live communication, dating, connections with interesting and useful people around the world. You have to develop your own company and manage it in a real competitive environment, where the character of story development is absolutely not linear, but is formed on the basis of the actions of your competitors and partner players. Here you will find competition and price wars, partnership and cooperation, interaction with players from more than forty countries. Virtonomics is presented in 7 languages. The game is popular among various groups of the population, allowing in an interesting game form to comprehend the subtleties of modern economy and management. This is an excellent source of useful skills and observations, a platform for testing ideas and implementing their own strategies. After all, although the business in the game is virtual, the relationships and actions of the participants are real. This economic strategy is a browser game that does not take a lot of time and does not require installation on a specific computer. You can play on-line at work during lunch break, in your free time at home, in any place convenient for you. 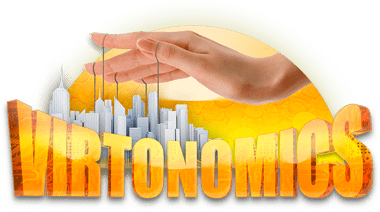 Virtonomics has many target areas – it’s not just an economic strategy, it’s a business simulator, a simulator of the real economy, a platform for business games. Everyone is looking for an option where you can play for free in the game business. Virtonomics offers a unique opportunity not only to play for free in the most rating business simulator, but also to turn your knowledge and efforts into real income. Here are options for earning. For example, participation in various competitions, promotions, attracting other users into the game, etc. 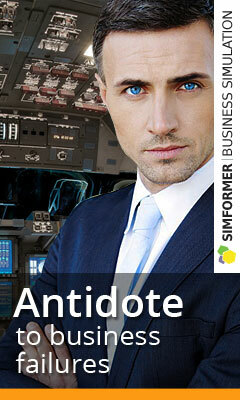 So modern business simulators are entertainment, training and earnings.